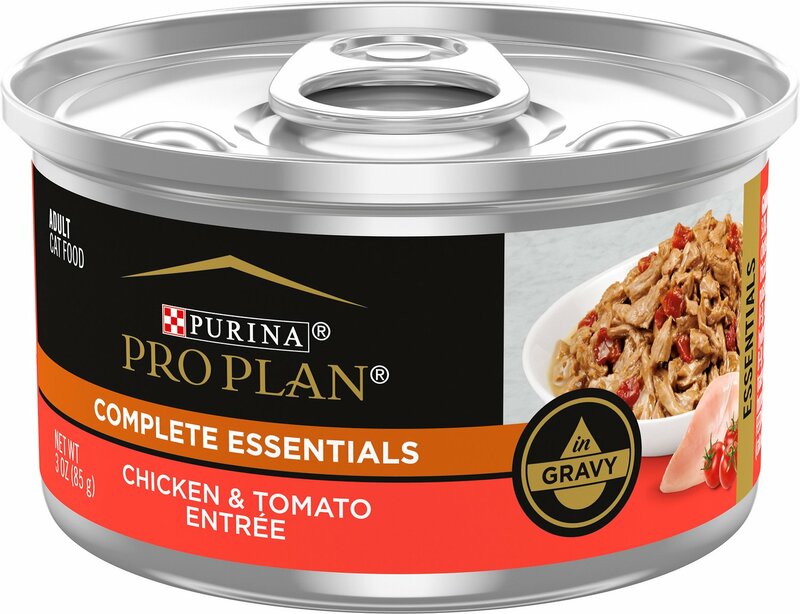 Purina Pro Plan Savor Adult Chicken Entrée with Tomatoes Braised in Gravy is made with real chicken complimented with tomatoes for exceptional taste. 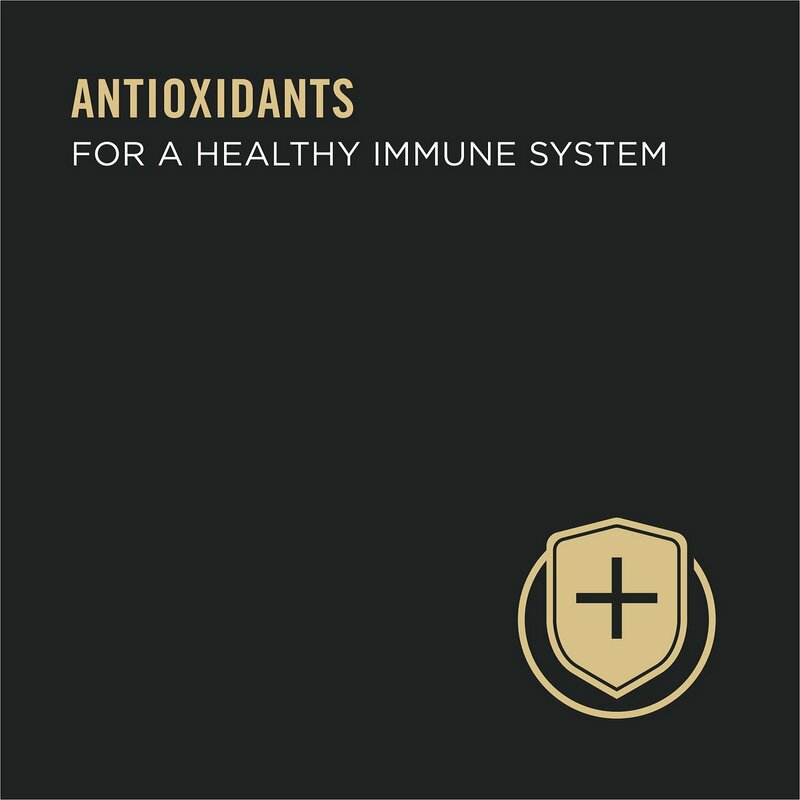 Balanced nutrition helps support a strong immune system and and optimal protein and fat levels help promote ideal body condition. Water Sufficient for Processing, Chicken, Liver, Wheat Gluten, Meat By Products, Tomatoes, Corn Starch Modified, Artificial and Natural Flavors, Salt, Calcium Phosphate, Soy Protein Concentrate, Corn Oil, Potassium Chloride, Added Color, Taurine, Choline Chloride, Vitamin E Supplement, Thiamine Mononitrate, Zinc Sulfate, Ferrous Sulfate, Niacin, Calcium Pantothenate, Vitamin A Supplement, Menadione Sodium Bisulfite Complex (Source of Vitamin K Activity), Copper Sulfate, Manganese Sulfate, Pyridoxine Hydrochloride, Riboflavin Supplement, Vitamin B 12 Supplement, Biotin, Folic Acid, Vitamin D 3 Supplement, and Potassium Iodide. 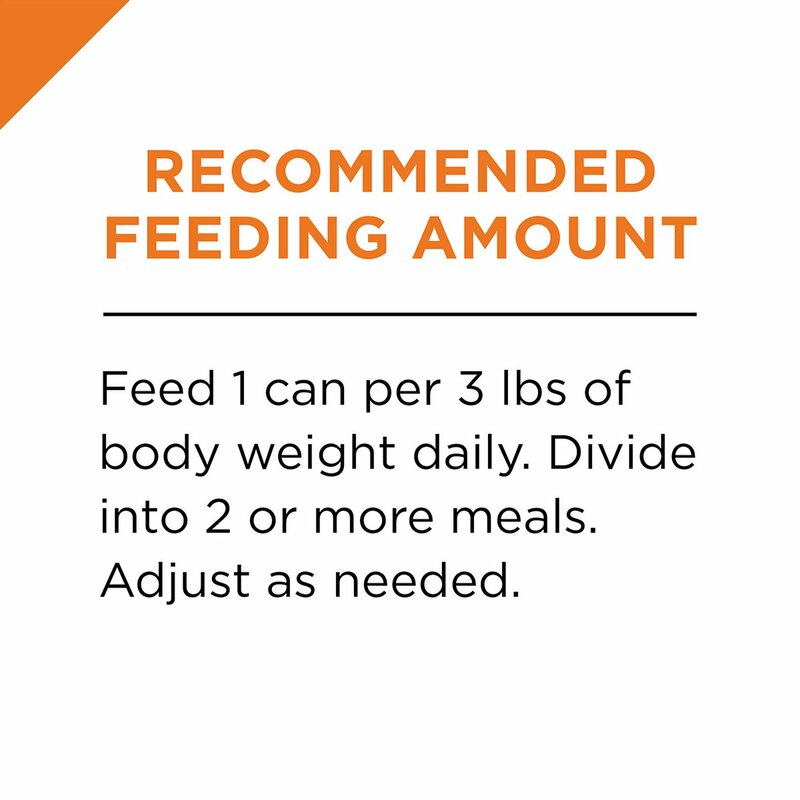 Feed 1 can per 3 lbs of body weight daily. Adjust as needed. Divide into 2 or more meals. Refrigerate unused portion. 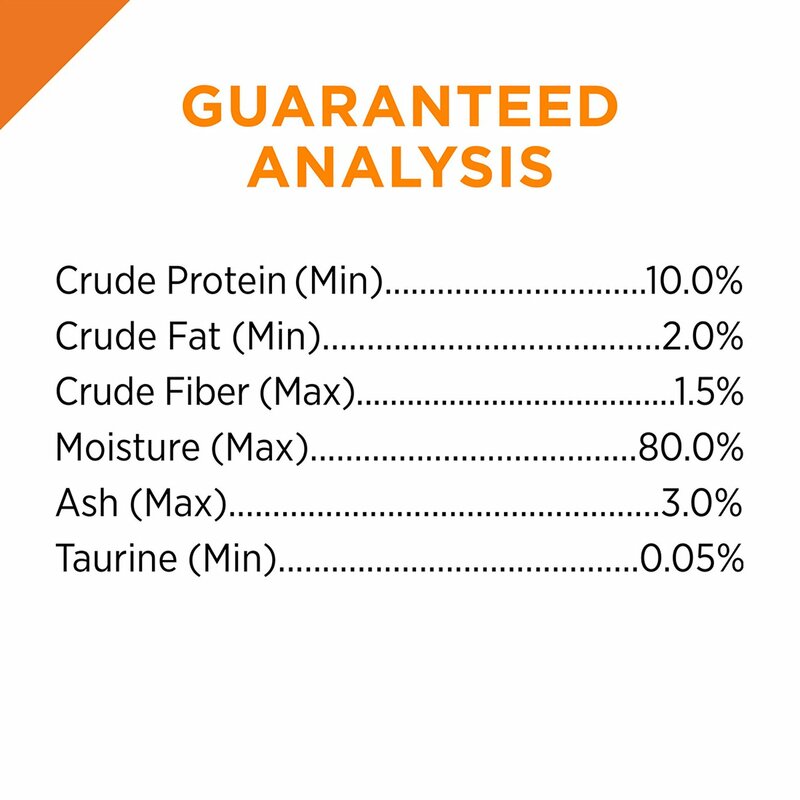 Give your cat extraordinary nutrition with outstanding taste. 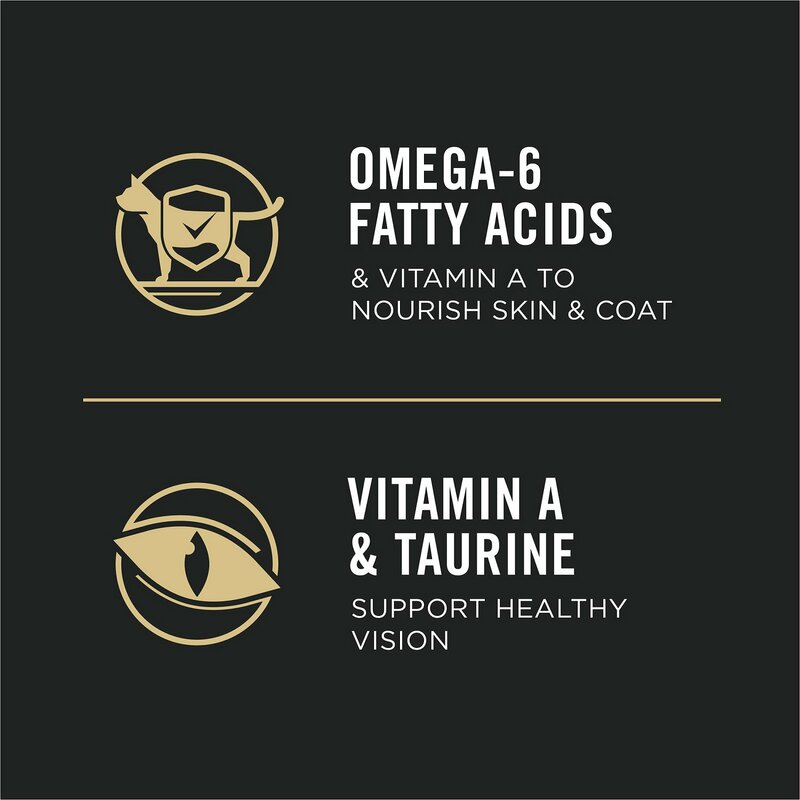 Purina Pro Plan Savor has the advanced nutrition she needs to help her live a healthy, active life, along with a sensory experience that will have her loving every minute of it. My cat has gotten pretty picky with his food. And he didnt like the flavor of this one. I had to mix it with the salmon food to get him to eat it so it wouldn't go to waste. Probably wont buy again. 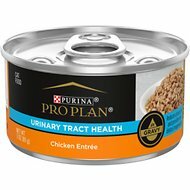 I buy this specifically for one cat who is particular about her food. Costs more than others, but I have to rotate items that she really likes. I have been buying my cats individual cans of Pro Plan to determine which flavors they both enjoy the best. This one is a winner for two very picky cats. It’s nice to have the option of purchasing through Chewy - convenient and quick! It's ridiculously hard to find something that entices my darling. She seems to enjoy tomatoes - alot! Plus, the chicken helps. I recommend giving this a try to anyone who has a finicky cat. I didn't think they'd eat this one, but was I ever wrong!! This is a flaked variety with small pieces of tomato in it. In the past my cats have refused to eat flaked food and I REALLY didn't think they'd go for the tomato, but they licked their plates clean-all but my overly-finicky stress kitty, but that's nothing new around here. Everyone else really loved this stuff. I have two cats. One will eat just about anything, the other is a fussy one. Puddie liked it very much, but Rosie is a fish kitty, so I have to have both kinds on hand. 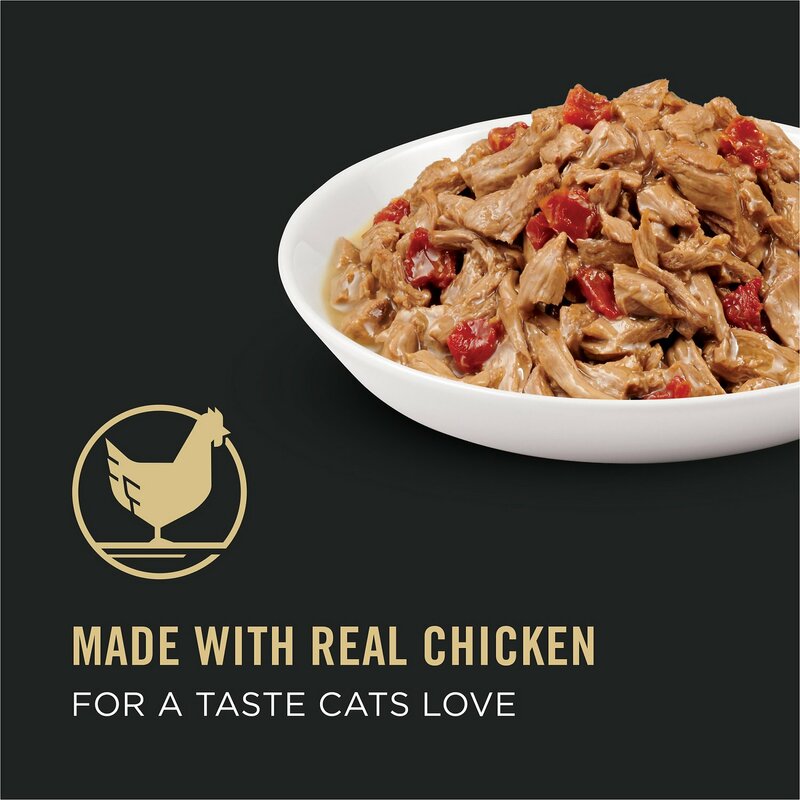 My cat will lick all the gravy off the chicken in this entrée & then eat the chicken. Love the convenience and the price! No more frequent trips to the store only to find out they're out of my selection and/ or the cans are dented. My orders arrive in excellent condition exactly when I expect them. I really like that I have the opportunity to alter the contents of each order before it's shipped, and that there is no shipping charge. Wish I had discovered this service much sooner! Funny true story: my friend regarded her future daughter-in-law as lazy and extravagant because she had pet food delivered. She was amazed to learn Chewy is less expensive than the local stores! I have two cats and they love this flavor. They eat every morsel, not just lick the gravy off. So nice not to have to run out to the store every couple of weeks to purchase cat food. Chewy has the brands and flavors that my finicky girl cat loves.